Here you will find rules and instructions for how to play a selection of card games played and invented by St Joseph's year 5 children. These games are designed to encourage mental maths and logic and as an added bonus are good fun too. 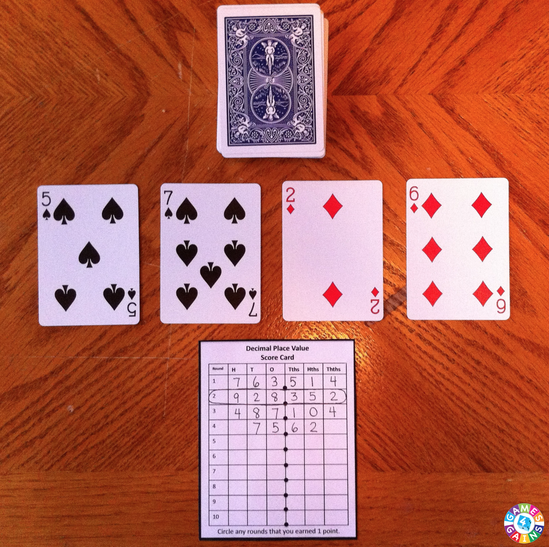 1)WAR- Two player game to practise quick fire addition and subtraction. 2)PYRAMID- Single player game to practise number bonds to 10. 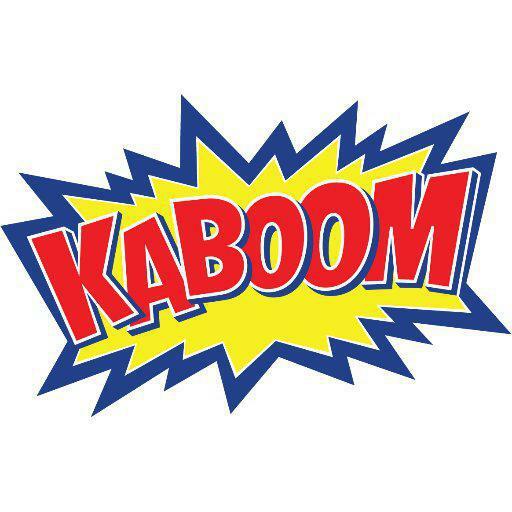 3)KABOOM!- Single or multiplayer game about practising times tables. 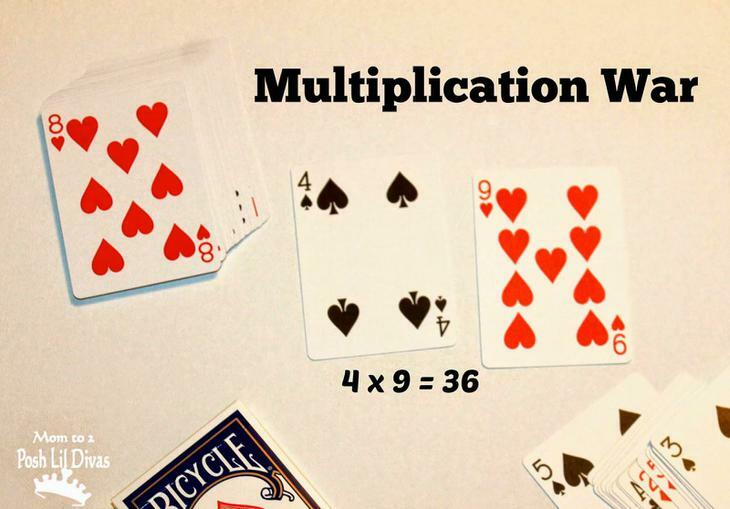 5)PLAY YOUR CARDS RIGHT- Place value practise. Split a deck between two players. Players each place two cards from their deck on the table and find the sum. The winner is the person with the largest amount. Each player places their card on the table at the same time. The first person to give the answer to the multiplication wins. 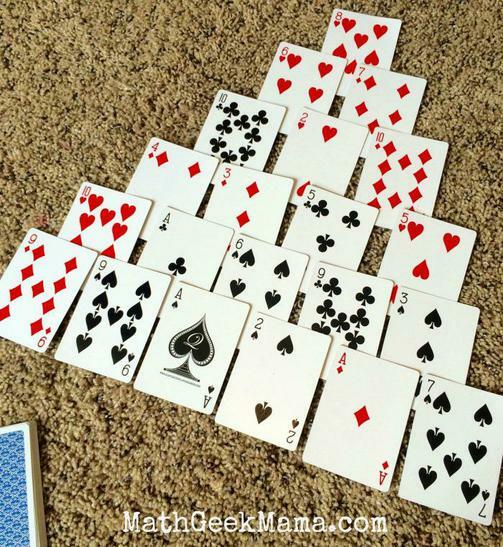 Create a pyramid as shown in the picture and place remaining cards upside down in a deck. Select a card from the deck. If you can add this card to another card (that is not covered) and equal ten, you can remove the card. If not, place the card to the bottom of the deck and continue until the pyramid is gone. 10 cards are free and can be removed as soon as they are uncovered. Preparation- Remove all K,Q,J but leave one joker in the deck. Select a card and multiply it by the first card. If you are correct you keep the card. If you select the joker it is game over. 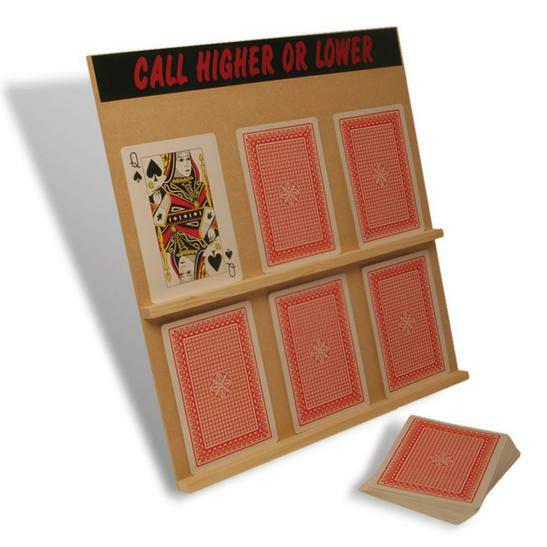 This game can also be played with two or more people with the person who picks up the joker putting his cards back into the deck and carrying on from scratch. Shuffle the deck and select a card. Decide whether the next card will be higher or lower. If you are wrong place the cards back and start again. The St Joseph's record is currently held by Jack, who predicted 8 cards in a row. Preparation- Remove K,Q,J, jokers and 10s. Create a 4 square grid. You can add more square or a decimal point if you want. Decide if you are going to create the biggest number possible or the smallest. Select a card and place it in the column you think best. Continue until all the squares are filled. Compare with your partner. Who won? Why? Could you have done better? Create a new grid and play again. HERE IS AN EXAMPLE WE MADE USING A NUMBER WITH THREE DECIMAL PLACES.